This week, on WDWNT: The Radio show, MARCH MADNESS PART 2: EXTINCT ATTRACTIONS BEGINS! 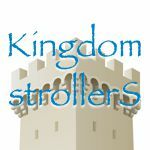 We will also discuss the news from the past week including a review of breakfast at Be Our Guest and a new Jungle Cruise themed eatery at The Magic Kingdom, and we invite you to join in the conversations as well. There is a pre-tournament e-mail sign-up for the March Madness extinct attraction tournament that has already begun. Send an email to [email protected] with your name, hometown and phone number. The email must be sent in and received before 6PM ET on March 26, 2015. We will in return send you an email with 4 attractions that will be yours in the tournament. The attractions will come from four categories and be assigned randomly. You will receive 1 attraction from the 1-4 seed category, 1 attraction from the 5-8 seed category, 1 attraction from the 9-12 seed category, and 1 attraction from the 13-16 seed category. The winner of each match is decided by the illustrious panel on the Radio Show. Each panelist counts for a single vote for an attraction. Majority rules on the 7 person panel and decides the winning attraction by vote count. However, listeners who register to play along can change the outcome by calling in. A listener who is registered and playing in our contest may call in once during the run of the tournament and place a vote for an attraction that is worth 2 votes, more than any single panelist. The phone number is 407-774-8255. To allow time for any listening delays, we will count any phone vote cast that comes in before the next round’s voting has begun. The top 8 players in terms of points amassed throughout the tournament will receive prizes from Theme Park Connection! The top player will receive a grand prize package and be declared the WDWNT March Madness Extinct Attraction 2015 champion. Contestants must be 13 years of age or older to enter. You must get parent’s permission if you are under 18. Hosted by radio veterans and life-long Disney fans Tom Corless and Nick LoCicero, the live radio talk show on AM 1520 WBZW in Orlando focuses on the latest news and current trending topics at the Walt Disney World Resort in Orlando, Florida. WDW News Today: The Radio Show can also be streamed live at www.1520wbzw.com or on your TuneIn and iHeartRadio apps, just search for WBZW. WDW News Today the Radio Show debuted in August of 2013 as a 1 hour broadcast on Saturday evenings and has grown into a 2-hour program by popular demand. To interact with the hosts during the show, listeners can call in at (407) 774-8255, tweet @WDWNT using #WDWNTRadio, or use the new LIVE chat that will be available at Listen.WDWNT.com.